Spring has sprung a bit early in the Coachella Valley where we have been experiencing temperatures in the 80's. From our campground garden. Very nice - and the negative space on the right works well. What no drops? Top shot of pink though. Marc, oh how I wish we had a visit from the grandkids, but we will soon be back in Colorado in May and will be posting many pics of the kids. No drops in the desert Trev, but we may get some rain on Friday. Beautiful shot Bob. Nice work. thanks so much for the kind words, I don't do a lot of roses, especially red roses at this time. .
You're suffering in the temps aren't you Bob. 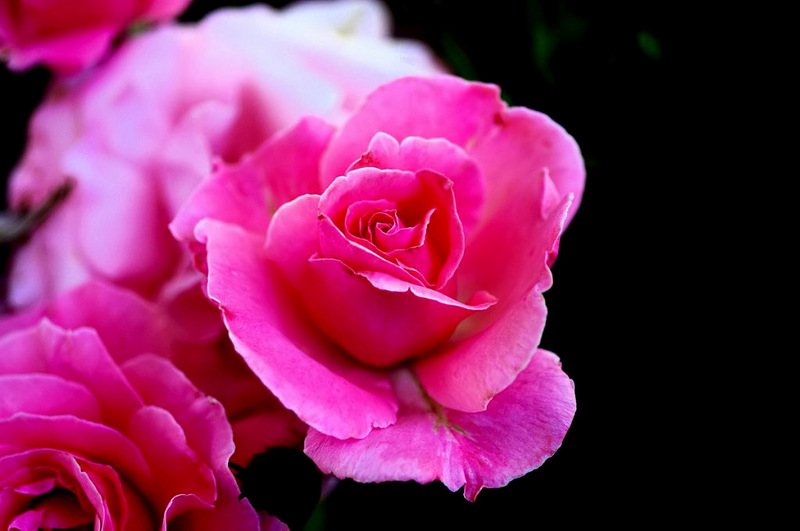 Lovely soft rose. You should do more of them. The color is just beautiful. Rich, colorful and crisp - super job, buddy. Last edited by Bob Harris; 02-26-2014 at 08:37 PM. Your just way ahead of us at only temperatures I could dream about, great shot. In the area where we are now, it is at an elevation of 12', lower desert and a bit warmer than other areas. hey thanks buddy, glad you enjoyed the photo.